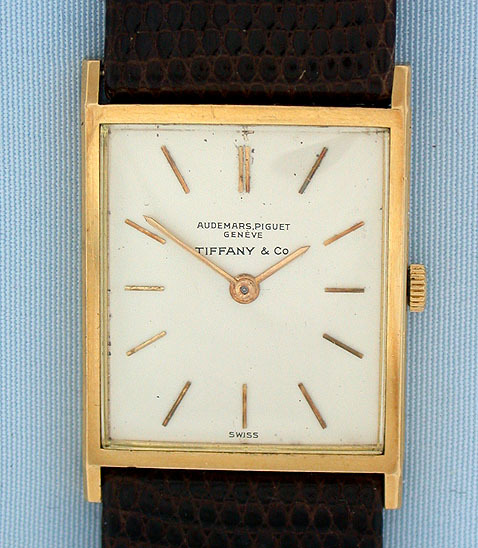 Fine slim Audemars Piguet 18K gold vintage wrist watch for Tiffany circa 1965. Original silver dial (light signs of age) with applied gold markers and gold hands. 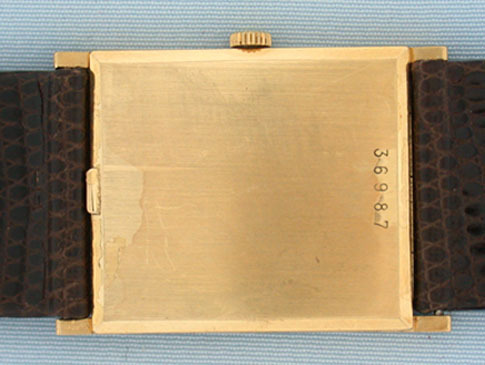 Slim rectangular case with downward sloping lugs. 17 jewel 8 adjustment calibre 2003 movement. Elegant.